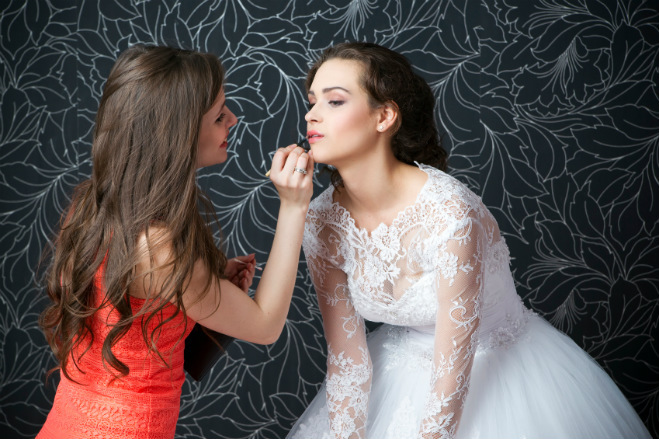 What kind of service can you expect from a makeup artist on your wedding day? How important is a makeup trial run? Do you use special techniques to make wedding-day makeup look best in photography? “Some of the most important things I do for photos are contouring and highlighting the bride correctly: tight-lining the lash line and applying individual false lashes. Spraying the face with a sealer also helps so the bride can wear her makeup for 24-plus hours with very little touch-ups.” —Nicole Wagner, Powder Inc.